With having such lovely weather here in Charleston South Carolina for most of the year outdoor space is paramount to home ownership, both for personal enjoyment and return on investment upon resale. Custom decks can be built when the plan is properly drafted, and the design is done by a professional landscape architect. 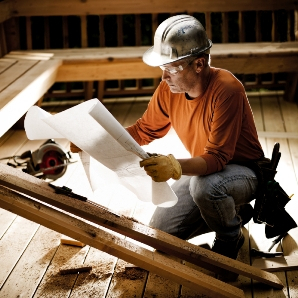 Our expert carpenters know how to build and repair outdoor exterior steps, railings, deck boards, cross members, joists, ledger boards, whatever you have ever heard it called, we can fix or build it. Our wood carpentry can be found all over Mount Pleasant, downtown, Folly Beach, James Island, Isle of Palms, Sullivan’s Island and the surrounding areas. Framing, and carpentry is what we are proud to do for our customers, whether it’s a custom home on Kiawah, or a simple decorative trim siding job for a designer we are here to help. Most decks and porches for affordability purposes are built using pressure treated pine. This material holds up well enough to weather, termites, as well as wear and tear while also being most affordable. Meanwhile higher end consumers prefer the more maintenance free, rot free, splinter free, and somewhat more visually appealing looks of synthetic materials like composite lumber, and ipe wood (extreme dense hardwood). These options bare in mind will be about 3 times the cost of traditional treated pine. Composite decking materials such as: Trex, Timbertech & Azek the two most popular are made of a polymer plastic, fiber, wood mix (saw dust), and the appeal that they have and come in all different color and wood variations. If you’re an environmentally conscience homeowner then this material is also the best option as it’s made from recycled plastics – ( Every 20 feet of decking contains about 30 pounds of material that would have ended up in a landfill). Trex, the first and largest of the composite manufacturers, recycles 6 million pounds of plastic each year. LEARN MORE HERE. Here in the Charleston South Carolina area and the eastern United States the most popular construction wood is southern yellow pine. There are essentially three primary types of decking materials used: As mentioned above; synthetic a.k.a composite, WOOD: (pine & cedar). So, since we here will likely use pressure treated pine, what’s the best part about it. It’s stainable, tough enough to resist abuse, and many brands carry a lifetime (though limited) warranty. But beware, not all treated woods are created equal. The standard treated decking at my local big box stores such as Lowes & Home Depot costs less than cedar. But inexpensive treated wood is often full of moisture and will shrink unevenly and twist when it dries. We suggest you buy “choice,” “premium” or “select” treated boards. At about 40 percent more per linear foot, you’ll pay more, but the boards have fewer knots and straighter grain. And, since many of the higher grade choices are kiln-dried both before and after pressure treatment, they have less tendency to warp and bow. The best way to combat the effects of weathered age is by adding a sealer/stain. Although this will increase the longevity of your deck, it will need to be maintained. Our carpenters can build your next deck or porch, whatever you call it.. We call it outdoor living space, so If you are considering building a new, larger, or prettier deck on your home please call us for a quote so you can enjoy the Charleston SC outdoors. If you need some privacy for your new deck you should ask us about Fence Building.